Sign up and receive Property Email Alerts of Houses for sale in Fish Hoek, Fish Hoek. Offers From: R 2,800,000. Discuss ASKING PRICE with Sales Consultant. 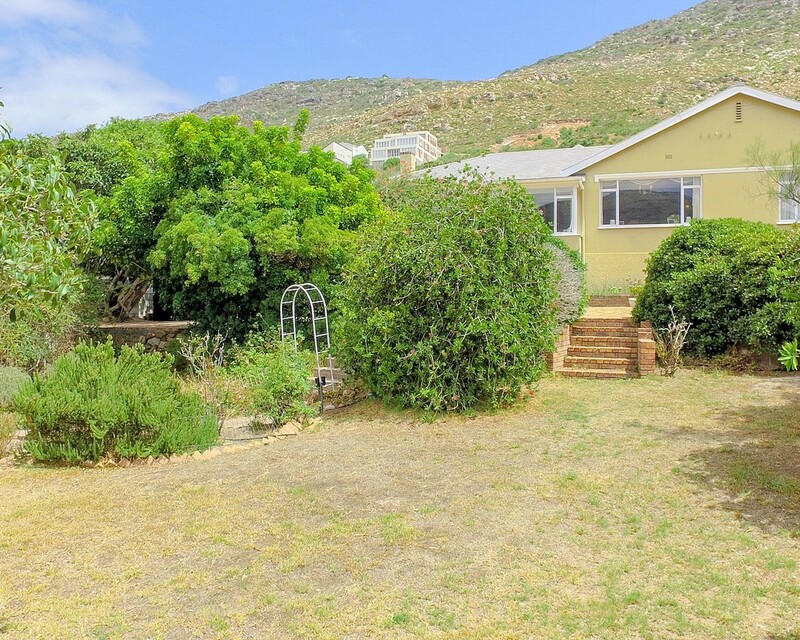 Situated on a very large erf on the slopes of Fish Hoek Mountain, this property has two separate entrances from both Kommetjie Road and Berg Road (huge potential for subdivision). Enter the home into an enclosed entrance hall that leads to a high ceiling dining area with a fire place to the left and a spacious lounge area with picturesque mountain views to the right. Leading off the dining area is a sizeable kitchen with plenty of cupboard space, built in oven, hob and extra fan and plumbed for one appliance. The kitchen leads out to an enclosed patio and braai area, great for entertaining. Three bedrooms (all with plenty of built in cupboards) one en suite and a family bathroom down the passage way is conveniently situated to add to the pleasant flow of the home. The outside area boast a fascinating leafy garden, that wraps around to another entertainment area, a swimming pool as well a large work station that can easily be converted into a completely separate flat let. Within walking distance to schools, shopping centers and Fish Hoek beach, this family home really does tick all the boxes! Sign-up and receive Property Email Alerts of Houses for sale in Fish Hoek, Fish Hoek.